A gathering of family and friends of Thomas M. Brewster of Albert Lea, MN, will be held from 4 until 6 PM on Thursday, March 28, 2019 at the Bonnerup Funeral Service in Albert Lea. A private interment will take place at Hillcrest Cemetery. 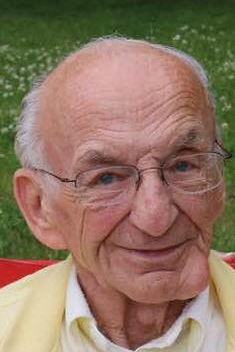 Mr. Brewster died Sunday, March24, 2019 at the St John’s Woodlands in Albert Lea. He was 89 years of age. Thomas was born December 6, 1929 in Slayton, MN, the son of Maurice and Dorothea (Miller) Brewster. He was a graduate of Windom High School and served his country in the US Navy. On October 27, 1951 he was united in marriage to Virginia Behr in Fulda, MN. Thomas lived in Albert Lea for over 60 years and had been employed with the Minnesota State HI way Dept as an engineer. He was a member of the V.F.W. and the Moose Clubs in Albert Lea. Thomas enjoyed hunting, fishing, playing cards, bowling, snowmobiling and keeping up on current events. He is survived by his daughters Andrea (Michael) Gray of East Longmeadow, MA, Shelly (Rick) Harves of Albert Lea, MN, grandchildren Erika (Jason) Hacker, Tim (Andrea) Harves, Brooke (Chris) Withers, Molly (Joel) Walker and Wyatt Gray. Great grandchildren include Brandon, Ryan, Bryn, Ben, Abby, Lucas, Emma, Lauren, Lexi, Holland, Rose and Simone. Thomas was preceded in death by his parents and wife Virginia in 2013.